The Waterfall extended monobloc washbowl tap has be designed to be deck mounted and to overhang washbowl / washbasin. This increasingly popular collection with its emphasis on the water, is definitely a individual design feature. 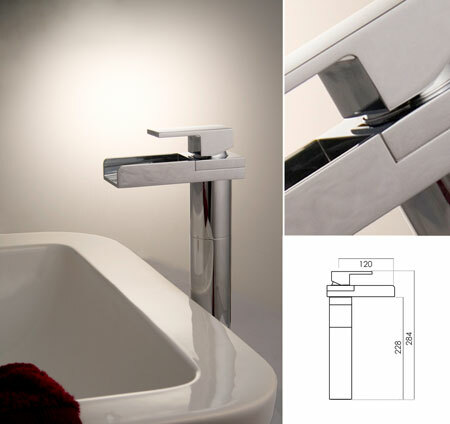 All extended monobloc washbasin taps can be used on low or high pressure water systems.